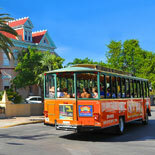 Tour at your own pace for 2 consecutive days! 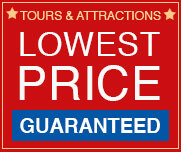 On your tour you'll also find out where to dine, shop, and just relax and have good time. 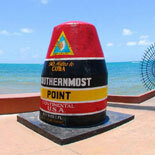 We are Key West's most comprehensive tour, covering over 100 points of interest. 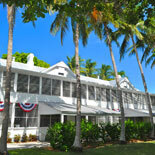 Our guides have been extensively trained and are proud to share the history, lore and legends of Key West. 2nd day Trolley ticket must be used on consecutive day. Tours depart from boarding locations approx. every 30 minutes. 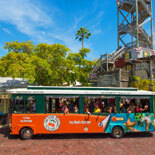 Patrons with printed or mobile etickets can board at any Old Town Trolley boarding location. 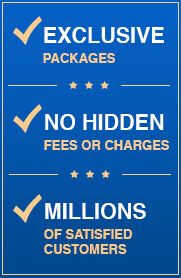 Without an e-Ticket voucher you must go to the ticket booth location with invoice order number. Parking is available at Mallory Square and the Westin Parking garage. When purchasing eTickets for groups of 15 or more, please call Customer Service so that we may most effectively serve your needs.